When I wrote the book Race-Pimping, I predicted the existence of people like Colin Kaepernick. You see, when you are at the end of a crappy career in sports like Colin Kaepernick, you need to know what you will do next. Race-pimping is a good alternative. Colin Kaepernick sat in protest during the national anthem for a pre-season game. His reasoning? Sounds to me that he might consider boycotting BLACK PEOPLE. Colin Kaepernick was born in Milwaukee, Wisconsin to Heidi Russo, a 19-year-old woman who was single and destitute at the time. His birth father was a black man who had already abandoned the mother and child before little “Russo” was even out of the womb. Luckily for the child, his mother didn’t abort him. Russo instead placed her son for adoption with Rick and Teresa Kaepernick. The Kaepernicks, a white couple who had two children—son Kyle and daughter Devon—and wanted to adopt a boy after having lost two other sons to heart defects. Little Colin joined the family to become the youngest of three children. So we are clear, the country whose flag Colin Kaepernick won’t honor got him a forever family that loved and nurtured him to become an NFL star. The most important thing in your life is family, despite what the Left tries to tell you. Ironically, it was white people who adopted this ingrate, not black people. Yet his ethno-centric concern is for the black people America is hurting? Americans take care of blacks disproportionately, as welfare rolls teem with black victims of Liberalism. Victims of people like Kaepernick, and those who engendered his racist, ingrate thinking. Kaepernick could have been one of those young black statistics; either in prison or dead. The other alternative is he could be one of those hood rats using his EBT card to buy drugs. Instead Kaepernick has become a successful young black man, who in 2014 signed a 6-year contract for $126 million to play a sport. He accomplished this in a country he says oppresses black people. We live in a time in America where denigrating all things “American” is profitable. 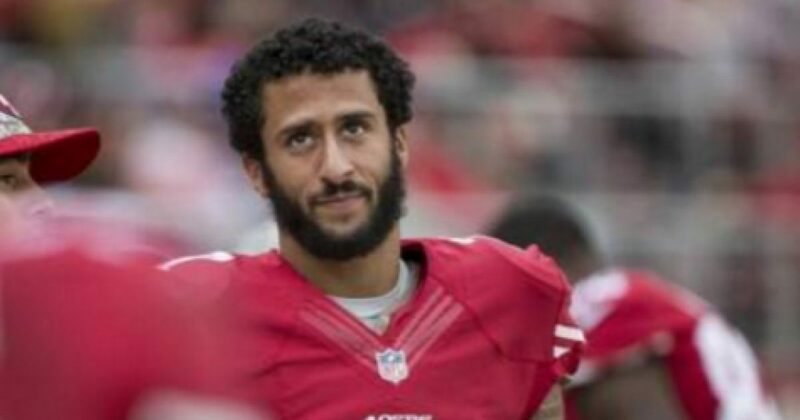 Kaepernick complains about treatment of blacks, as he participates in a career that has made more black millionaires in a year, than Obama could make in ten lifetimes. There are many Americans like me who would give just about anything to send people like Kaepernick to any country in Africa to live for a year or so. I bet he would return much more grateful to be an American.